In 2012 the Spartans Committee was approached by Teganuma organisers through event organisers IMG to establish a relationship with the Melbourne Marathon by conducting reciprocal annual competitions offering airfares and homestay accommodation for two lucky winners. The prime motivation was to enhance cultural exchange and to learn from each other’s approaches to life and fitness while gaining friends for life. It is fair to say that both Japan and Australia are two running-mad nations that regard each other’s sporting achievements and events very highly and we hope the Teganuma competition not only continues but that similar arrangements spread to other events in Japan and around the world. 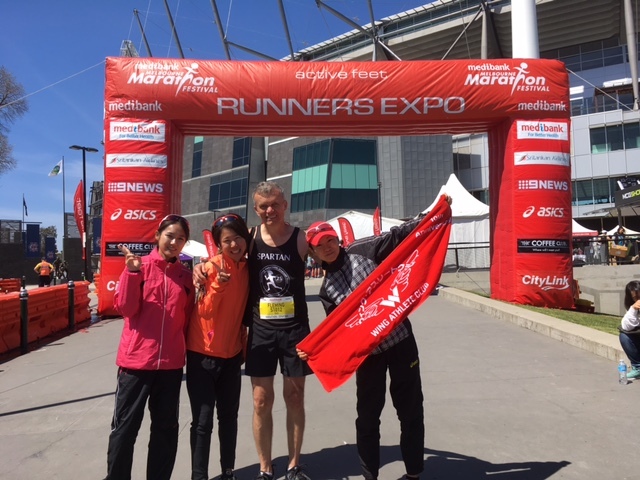 Running is a wonderful people-glue that transcends language and culture by bringing people together through shared feelings which is essential in today’s world. In 2018, Michelle Tham and Anne Ziogos represented the Spartans at Teganuma. Their report was published in the December Newsletter. In 2017, we were visited by three ladies from Teganuma. President Jay Fleming hosted. The ladies were extremely gracious and thankful for the kindness and warmth of welcome extended to them by the Spartan Community during their homestay and Melbourne visit. They intend to return next year as all achieved personal best times yesterday. We absolutely loved sharing our house with them and showing them around a bit of Melbourne. I found them to be extremely respectful and insightful for ones so young. Needless to say I learned so much about their culture, their everyday lives and their general reflections on life . The whole experience was so enriching and greatly exceeded all my expectations. It is a great way of making lifelong friends and we eagerly await our next guests. Mai Shinozuka, Nanaka Izawa , Jay Fleming, Keiko Hiraga. 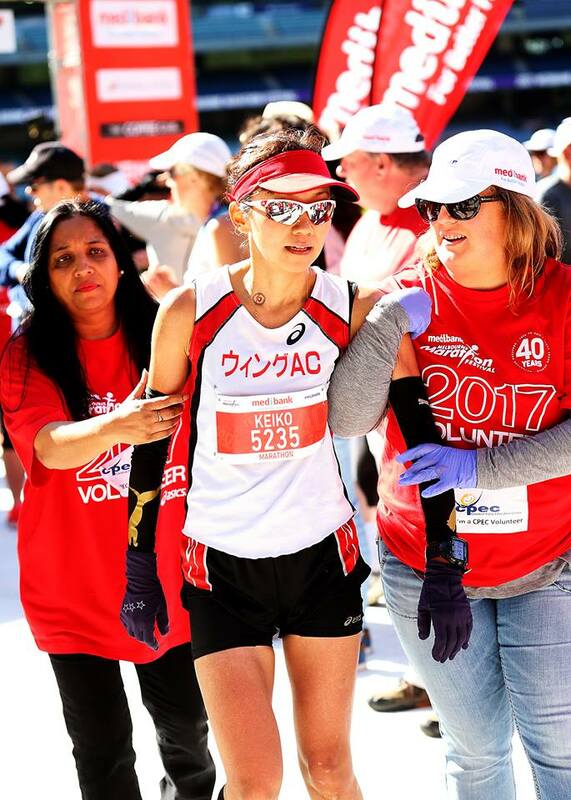 Keiko Hiraga at the finish. 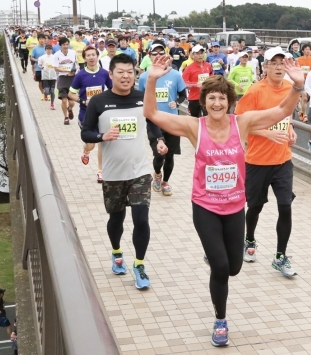 Maureen Wilson and Christine Hodges were guests at the 2016 Teganuma Half Marathon. The photographs below have been taken from their 2017 AGM presentation. 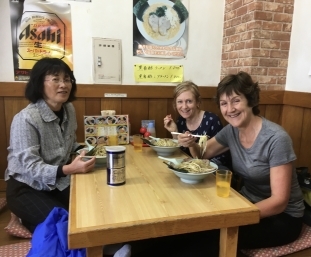 Maureen and Christine enjoying a meal with one of their hosts. 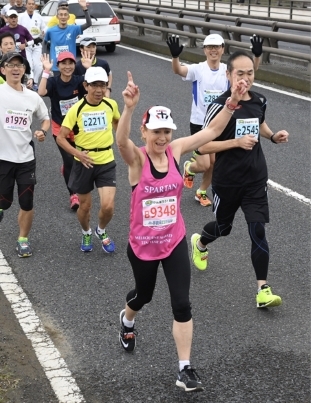 Here is a link to a video made from the telecast of the 2016 Teganuma marathon. Maureen and Christine are interviewed at about the 22m25s mark (3m from the end). 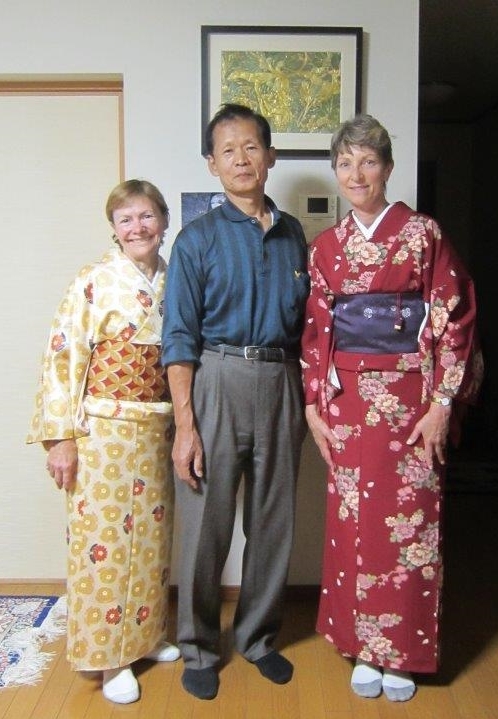 Jane Sturzaker and Helen van der Nagel were guests of Teganuma in 2015. The November 2015 Newsletter contains an article written after the 2015 Teganuma half marathon.